It's my favourite time of year for fashion, and of course Primark has done it again and brought out another amazing A/W collection, and a lot of it is already in stores! Now my purse is pretty empty at the moment (hurry up student loan...) so I wasn't able to buy everything, but I did pick up a few bits I've wanted to buy when I went to the Stratford Westfield's last week. This shirt has to be my favourite purchase of the trip. I normally find that Primark shirts are too sheer for my liking or just generally really cheap feeling, but this one is soooo soft and feels like it's going to last! 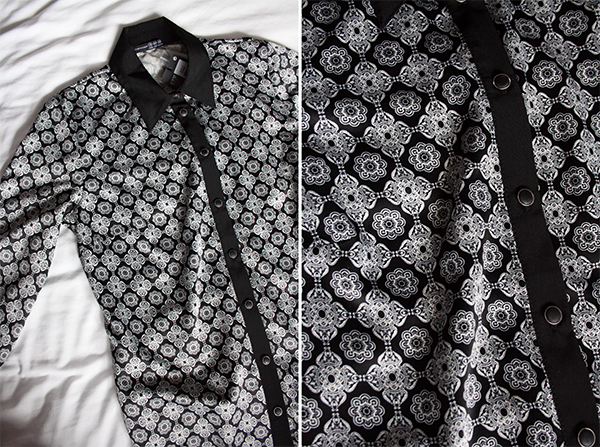 This is definitely a good alternative to the shirts which are in Urban Outfitters at the moment as it's only £12! + I sized up just so it's more oversized. Quilted tops have been in stores for a few months now, so I've been meaning to pick one up. I really like the different texture and makes for a usual basic top. This one in Primark was £6, but I managed to get it for £4 as it has a make-up mark on the top, which will easily come off in the wash. It does have a chain on the top of the pocket, but I'm going to cut it off as it's not really my thing. This top comes in black, grey and of course this creamy colour. This cardigan is definitely going to be one of those items every blogger has, I've already seen them on hundreds of blogs! 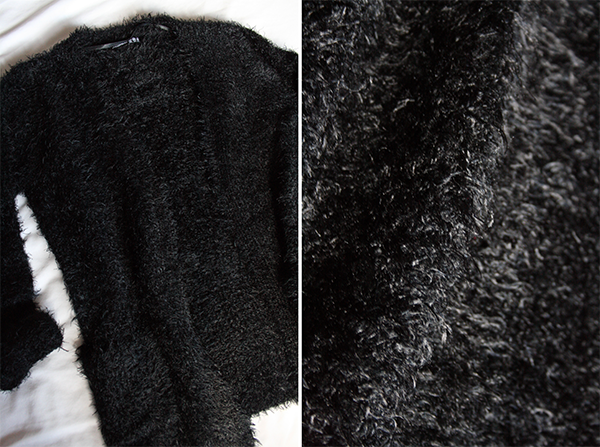 My blog is no exception because this cardigan is the perfect addition of my autumn wardrobe. It's soooooo soft! I'll be wearing this as a jacket when the wearing isn't too cold but not warm enough for just a t-shirt. I think it would be perfect for uni for something to snuggle up in for the evening lecturers. + it was £12! Can't leave Primark without something you probably don't need but is too cute to leave behind. This just makes my phone look too adorable! They also had a cat and a koala for £3. 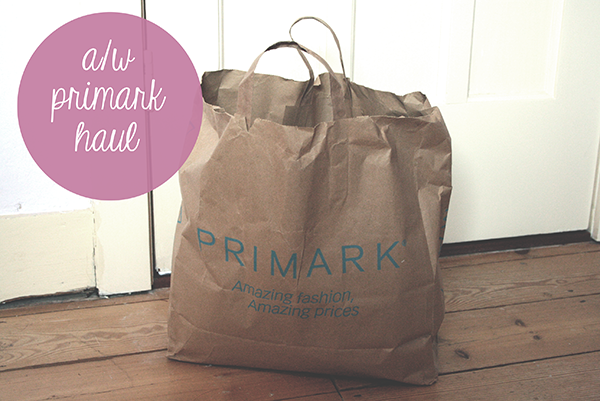 What have you picked up in Primark recently? Do you like their A/W collection? love the look of the quilted top! primarks gonna be so good this A/W! I'm always torturing myself when I look through Primark hauls. Living in the US has deprived me of visiting such a great shop. Love all of your buys! I got my hands on that cardigan literally two days ago and it will be making an appearance on my blog ha! I have that quilted top it's so pretty! I'm really excited for Primark's A/W collection - haven't been instore yet to check it out as I'm scared I'll blow all my money haha! loving primark at the moment. that cardy is definitely the blogger trend this season! Wow, I LOVE the print of that first blouse! It's so gorgeous. Also I have a fluffy cardigan like that and it's super cosy! I have just made a lust list for prim ark autumn 2013 collection, there is some amazing stuff! 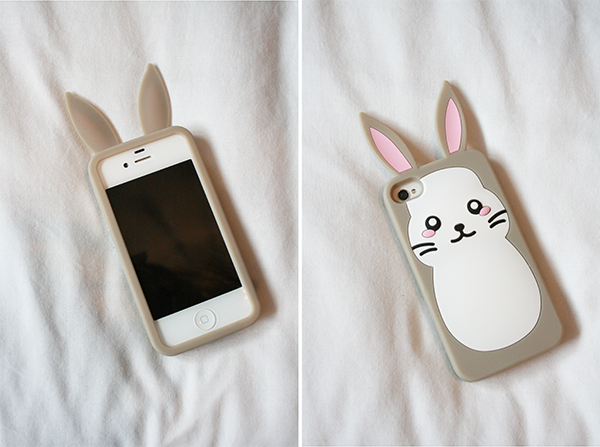 That phone case is the cutest. 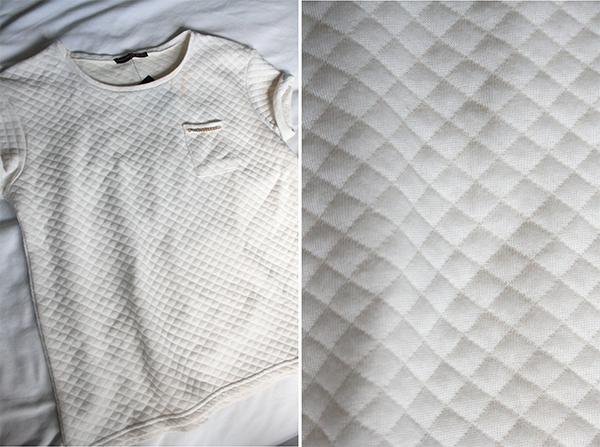 The quilted top is such an amazing piece for a cool casual look! I really need something quilted for a/w! I bought myself this cardigan too! It's so soft and fluffy. The pocket on mine is coming off slightly at the corners, so I'm actually thinking of returning mine to swap for a less-faulty one. But then again what did I expect for £12?